We are 10 games into the 2016 season and the Dallas Mavericks have the same number of wins as they have members of the 2011 Championship team injured. Mavs point guard J.J. Barea was helped off the court Wednesday night in a 90-83 loss to the Boston Celtics, unable to apply pressure to his injured leg. Rick Carlisle on JJ Barea "He has a strained calf. He'll be out for a while. It could have been more serious. We were lucky." 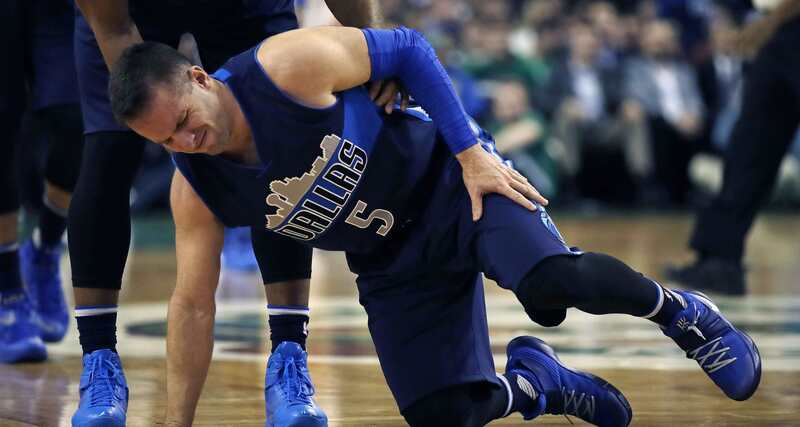 Barea joins PF Dirk Nowitzki, PG Deron Williams and PG Devin Harris on the Mavs injury report. Barea was a bright spot for the 2-8 Mavs, averaging 16.3 points (career-high), 5.4 assists, and shooting 38.3 percent from 3-point range to start the year. Now with Barea, Harris and Williams sidelined, Seth Curry is the only available point guard. That’s why reports Thursday stated the team is waiving PF Quincy Acy and signing PG Jonathan Gibson. During the preseason, Gibson averaged 7.1 points on 31.5 percent shooting and three assists in 14.8 minutes. Gibson played a stint in China last year, where he averaged 42 points per game. Gibson and Curry will get a majority of point guard minutes for the foreseeable future, which may spell even more trouble for a team already struggling to move the ball. The Mavs rank dead last in the NBA in assists per game (18.1), and Dallas is rarely outside of the top 15 year in and year out. The 2016 Dallas Mavericks haven’t gotten off to a great start, and it will be interesting to see how this front office operates if the ship continues to sink.